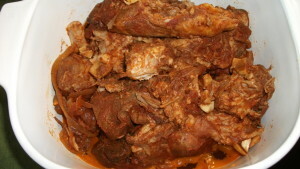 Soft Shoulder – Pork. Simple, Easy, Awesome! This is a really simple recipe that even makes its own BBQ sauce with a little extra effort at the end. If you like pulled pork, carnitas, shredded pork tacos, BBQ pork, etc., this is an easy way to get there.